Will Walmart Launching Its Own Brand Of Cell Service Send A Message To The Big Boys? Walmart, the world’s largest retailer, announced on Monday that it was teaming up with T-Mobile to launch its own branded post-paid cellular service called Walmart Family Mobile. 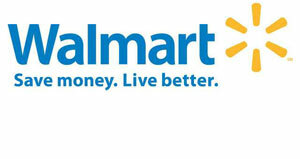 Starting last year Walmart has been the exclusive vendor for Verizon Mobile’s Straight Talk post-paid service, and it is also working on a deal with Sprint Nextel to distribute a service named Common Cents, so it is obvious the retailer is becoming a major player in the cellular market. However, this new deal with T-Mobile is a new beast altogether in that it will not be branded with the carrier’s logo, but will instead be Walmart’s firs foray into launching its own line of service. Walmart Family Mobile will run customers $45 a month for unlimited talk and text each month, with $25 per additional line with no need for any contractual agreements. Walmart Family Mobile has phones for the whole family from Samsung, Motorola and Nokia, including phones with the Android Operating System, QWERTY keyboard, touch screens and other features. Since there is no annual contract, customers can upgrade anytime by purchasing a new handset with no extra fees or contract commitment. As is well known, part of your contract agreement goes to subsidizing your phone purchase, so while it sounds great that you can buy a phone any old time you want, you’re going to be paying full price for them. In spite of this rather major drawback, Walmart is throwing down a rather major gauntlet to the carriers, and surprisingly it is with the help of those self same companies. Considering that Family Mobile will be available in 2,500 of the company’s stores as of Sept. 20th, this deal will be offered all over the country and without doing the math, consumers are going to start questioning why they are paying so much each month. Yes, you may get a subsidized phone, but when you do the math across the two year contract you actually will come out a bit ahead on the deal. Most people won’t do the math, but the carriers had better expect to hear a lot more complaints coming their way in the near future over their pricing. While I won’t be going with the plan, I have to admit it sure is tempting. What say you Would you ever go with a plan like this? Does it make you rethink what you’re paying each month to your carrier?